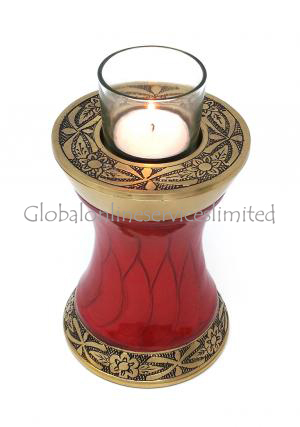 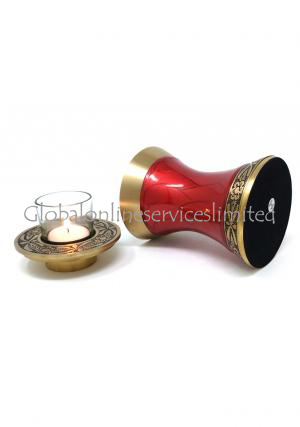 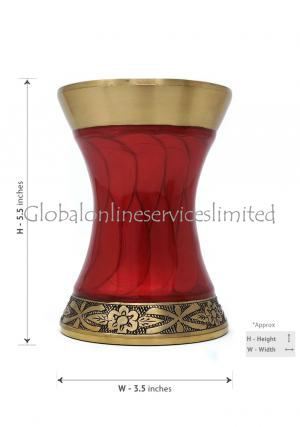 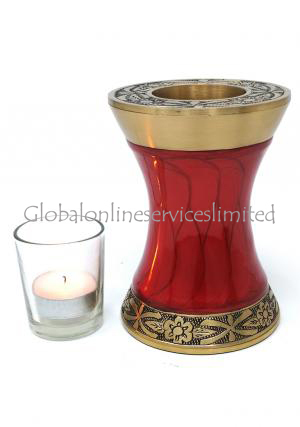 Red Floral leaf Engraved Medium Tealight Cremation Urn For Human Ashes features a delicate, hand crafted design engraved on high quality brass and doesn’t include candle . 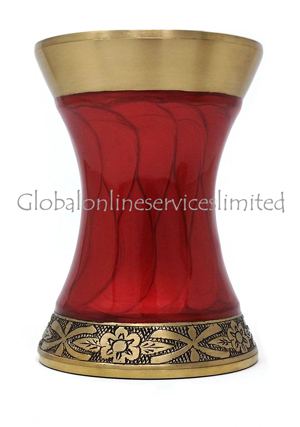 It has a superb finish is achieved with red colour and leaf engravements as a add on to the background colour. 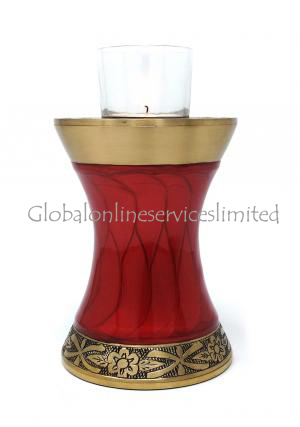 The lid on the top has a golden brass quoting with transparent lid cover and finished with smooth quoting.